Preparing the seating chart for your reception can be one of the most stressful things a bride goes through in the planning process. So why not try to make it fun! While note cards can be efficient that’s something we’ve all seen, so here are a few of our favorite and different ways to seat your guests. 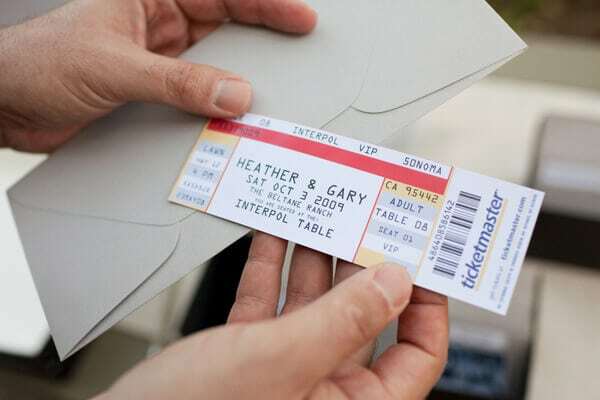 Adding a personal touch to the cards will make your guests feel welcome and remove some of the stress from having to find their seats. Tease your best friend for being in a tux or let your grandmother know how much it meant to you that she flew out just for your wedding! You don’t want your guests spending hours in front of the seating chart to find their name, by alphabetizing the cards not only will they find their seating more quickly, but you get to party longer! Using a photo of your guests as their card will not only make it easier for them to find, but shows them that you care that they came! Choose something goofy to make your guests laugh. Another idea is to write a personal note on the back about them or how thankful you are that they came. You don’t want all your guests lumped into one pile trying to find their table, so space out whatever it is you decide to do so that multiple guests can get up close. Choose a medium to write on that might not be so traditional, not only will your seating chart become a part of your decor but it will also be a piece to remember! These ideas are also useful when trying to spread the seating chart out and make it easier to read. After your guests have found their name, have them leave you a little keepsake. This could be “write a date idea” or “take a picture of yourself”. This is a fun and different activity for your guests before they even enter the reception and it makes a great keepsake for you and your groom! Instead of having your guests hunt through names to find theirs, why not let them know ahead of time. When your guests enter for the ceremony, have ushers ask for their name ad go ahead and give them their seat. This will save a ton of time at the reception and let your guests get to the fun sooner!